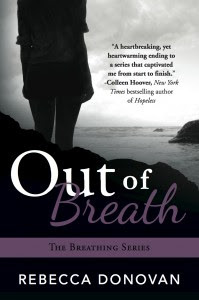 Who is excited that tomorrow is the release of Out Of Breath by Rebecca Donovan? We are certainly are! Thank you to everyone who entered our giveaway to win a signed set of Reason to Breathe, Barely Breathing & Out of Breath by Rebecca Donovan!